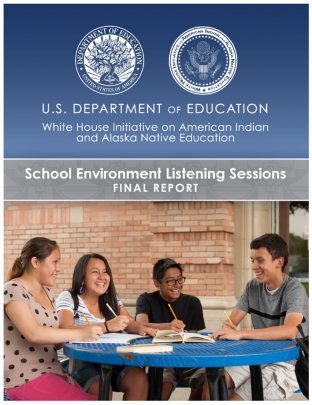 The White House Initiative on American Indian and Alaska Native Education leads the President’s Executive Order 13592, signed December 2, 2011, Improving American Indian and Alaska Native Educational Opportunities and Strengthening Tribal Colleges and Universities. 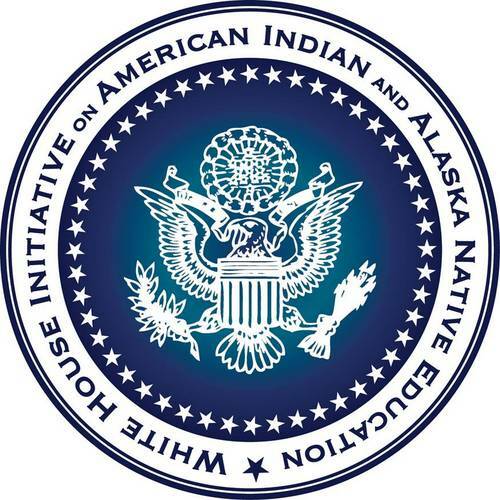 The Initiative, located within the Department of Education, seeks to support activities that will strengthen the Nation by expanding education opportunities and improving education outcomes for all American Indian and Alaska Native (AI/AN) students. It is committed to furthering tribal self-determination and ensuring AI/AN students, at all levels of education, have an opportunity to learn their Native languages and histories, receive complete and competitive educations, preparing them for college, careers, and productive and satisfying lives. Signed into law by President Trump on July 31, 2018, the Strengthening Career and Technical Education Act for the 21st Century Act (Public Law 115-224) revised and extended the Carl D. Perkins Career and Technical Education Act of 2006 (Perkins V or the Act), authorizing appropriations through Fiscal Year 2024 for five career and technical education (CTE) programs. The subject of this tribal consultation is the Tribally Controlled Postsecondary Career and Technical Institutions Program (TCPCTIP), which awards competitive grants for “basic support for the education and training of Indian students” to tribally controlled postsecondary career and technical institutions that do not receive funding under Title I of the Tribally Controlled Colleges and Universities Assistance Act of 1978 or the Navajo Community College Act. 1. The Department is aware of two institutions of higher education that meet the program’s eligibility requirements: United Tribes Technical College in Bismarck, ND and Navajo Technical University in Crownpoint, NM. Are you aware of any other institutions that may be eligible for assistance under this program? 2. Beginning in 2001, the Department established policies and requirements governing the payment of student stipends in TCPCTIP. The most recent set of policies were established in 2007. Do you have any concerns about the current TCPCTIP student stipend policies? Do you have any recommendations for changes to them? 3. The Department is interested in updating the performance indicators for TCPCTIP grantees to reflect the new core indicators of performance that Congress established for States and subgrantees in the formula grant program because it is important to assess consistently the effectiveness of CTE programs funded under Perkins V.
A. Do you have any concerns about updating the performance indicators for TCPCTIP grantees? B. Would TCPCTIP grantees need any technical assistance from the Department to implement this change? If so, in what areas would technical assistance be helpful? C. Do you have suggestions for any other performance indicators for TCPCTIP grantees? Please see the attached supporting document for additional background about TCPCTIP and these consultation topics. This consultation is in person and virtual. Logistics to access virtually and the agenda will follow this announcement. Download TCPCTIP background information document.